Zoobe is the leading character voice-messaging app that works for both iOS and Android. It enables 3D animated characters to perform their user’s voice messages and then creates easy-to-share video clips. Recently Zoobe Message Entertainment confirmed a partnership with Sanrio GmbH for multiple brands starting with the crown jewel Hello Kitty. Zoobe will create multiple digital products featuring the beloved brands both in 2D and 3D animation. To begin, the Berlin-based startup chose to launch the “Hello Kitty StoryGIF app” first on iMessage, Apple’s long-awaited and stylish messaging platform that now includes stickers, apps and other fun features; hitting the Top 10 list almost immediately. The app also launched on Android furthering the connection with fans digitally for Sanrio’s consumer products powerhouse. 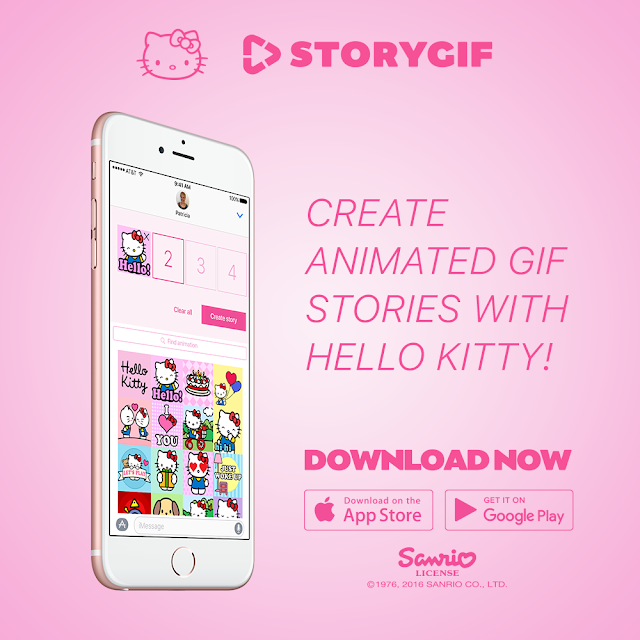 Millions of digital natives and other early adopters can now select from over 50 adorable animations and multiple upcoming themes to create and text unlimited customizable and socially shareable StoryGIFs featuring Hello Kitty and friends.